How to Use SmartKey Outlook Password Recovery? Below are the steps on how to recover lost or forgotten passwords for protected Personal Storage Files (*.pst), and passwords for mail accounts, Windows Mail by using Outlook Password Recovery. To get started, download this software, and install & launch it. Part I: How to Recover PST File Password? 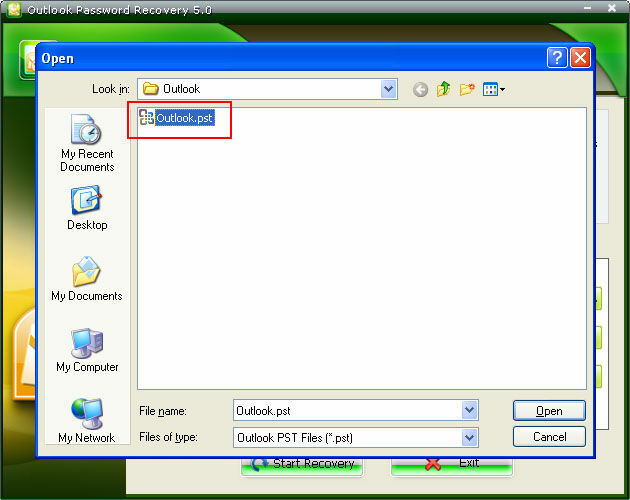 Part II: How to Recover Passwords for Email Accounts Stored in Outlook? Step 1: There are two options for your selecting. It chooses "PST File Password" tab by default. Click the "Add file" button to import PST files to this software. Step 2: Click "Start Recovery" button, the password for the imported PST file will be displayed immediately under the "password" tab on the interface. 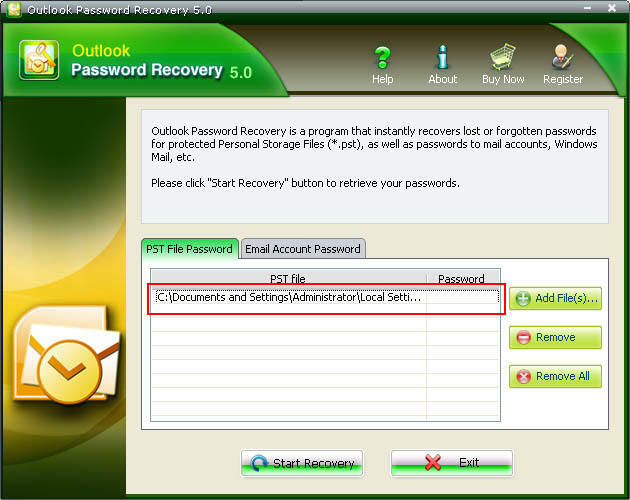 Note: In some cases, the password recovered by Outlook Password Recovery is not the same as the one which has been originally set. That's due to encryption algorithm used in Outlook – the original password is not stored in the file. However, the password which is shown by Outlook Password Recovery will be certainly accepted by Outlook without problems – just try. And of course, after logging into Outlook, you'll be able to change that password to any one, or just remove it. Step1: Selected "Email Account Password "tab. Step 2: Click the "Start Recovery" button. All the Emails with login, password, Server Address, and protocol are displayed in the column. Sounds Good? 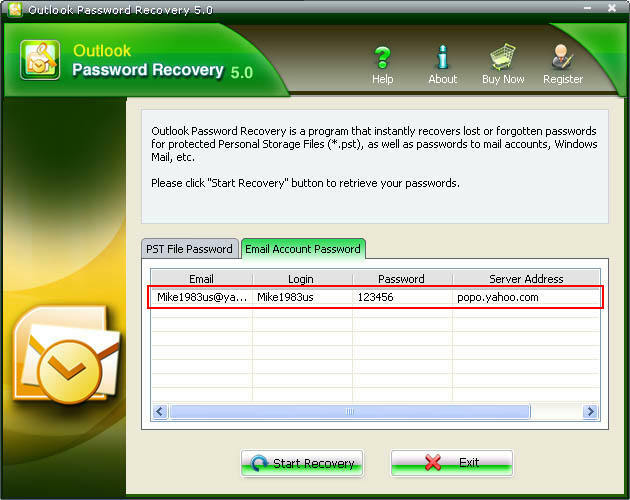 Get " Outlook Password Recovery " Now!